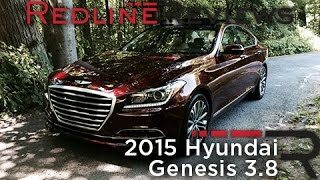 Hyundai commendably captured the market with the release of its very first Genesis Sedan and carrying the legacy at the 2014 Detroit Auto Show, they unveiled all new Hyundai Genesis 2015. Now the anxious analysts are keen to know if this new release too turns to create a tough time for premium sedan makers like, BMW, Audi and Mercedes. Let’s have a closer look under different heads. The interior of Hyundai Genesis 2015 is a premium amalgamation of classy materials making simple and comfortable arena. Interior has been revised to a lot of extent in order to provide more comfort, let that be through space or through the material used. The simplicity it holds makes it more mesmerizing. Steering wheel has been mounted with vital features while dual tone dashboard encapsulates a display screen for navigation and other features also. 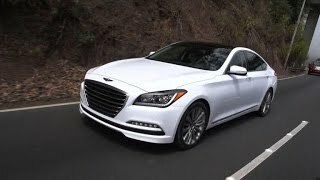 Enough of legroom has been provided in cabin and at the rear; in fact overall volume of 123 cubic feet makes Hyundai Genesis ahead in category from Cadillac CTS, Lexus GS and BMW 5 Series. 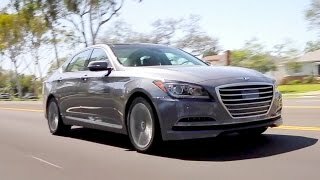 The exterior of Hyundai Genesis 2015 is a premium of sign of aggressive luxury. Hyundai has been using a particular design to create the exterior of its models. They tagged it as ‘fluidic sculpture’, with release of Hyundai Genesis 2015 they have taken this luxury pattern a lap ahead and used the fluidic sculpture 2.0 design language. Hyundai shares the same pattern will be followed for the coming models as well, however this announcement makes Hyundai Genesis more special with its badge of being the first model. As we called in beginning about the aggressive luxury, aggression reflects through its upright grille while the LED Lighting and visual presence through its flawless design and scattered chrome details makes it close to perfection. Hyundai Genesis 2015 base version gets its power through a 3.8 liter V6 engine producing 311 ponies and 397 nm torque. However the speed lover gets an enlightening treat with the award-winning powerful Tau 5.0 liter V8 engine producing 420 horsepower and 519 nm torque. Both these engines are paired to eight-speed automatic transmission. 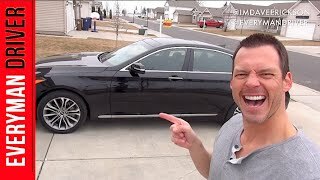 Another big new apart from its powerful engine big news from this section is that Hyundai Genesis 2015 comes with advanced HTRAC AWD System, availing the buyer freedom to choose driving mode depending upon the terrain he is driving. Each of these modes namely, Eco, Normal and Sport provides you beyond the standard driving experience.